Charlie Chaplin is of course one of the earliest “superstars” in being a box office sensation and world recognized movie icons back in the days of silent films. 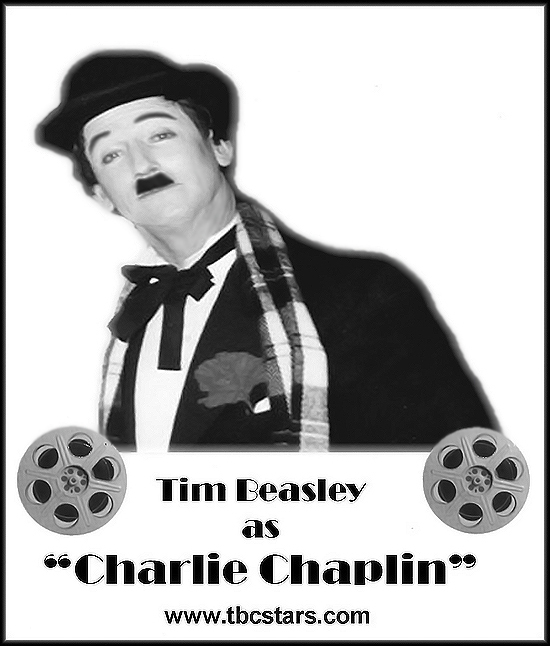 With his signature derby, cane and “little tramp” attire and attitude, he stands as a giant in terms of recognition power, and everyone instantly knows “who” Charlie Chaplin is…. 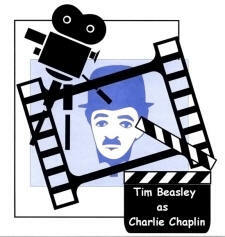 Very much an icon, Charlie Chaplin has been portrayed and impersonated by many, for many years, too, and will continuer to be a popular “celebrity” character for any special event looking for that classic Hollywood feel. 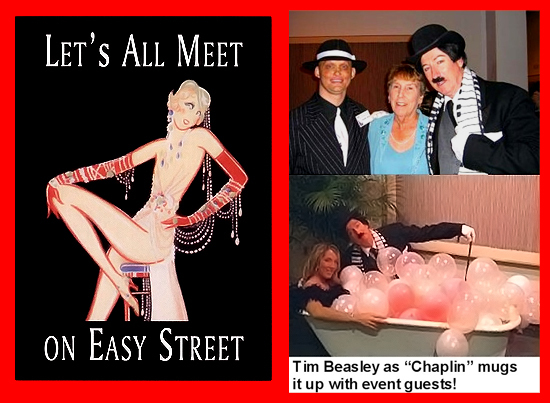 Tim Beasley is often asked to perform his sterling impersonation of Charlie Chaplin as “The Little Tramp” for fundraisers, public events, retail promotions and any special social gathering wanting the fun of a “Hollywood” or “Roaring Twenties” costumed event. 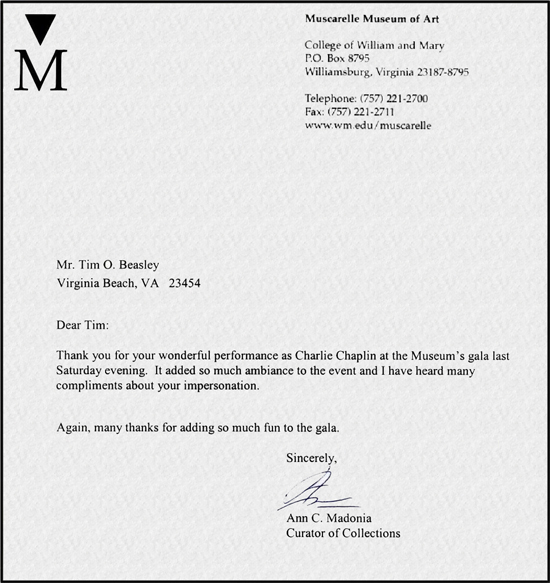 As a 25 year veteran of live performances nationally and internationally, too, , Tim always brings an immense amount of experience and craft to his “Celebrity Stars” appearances!